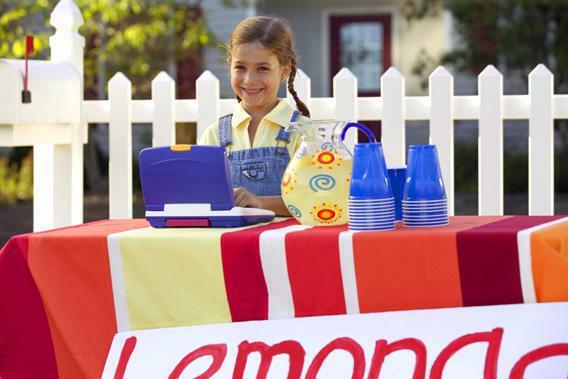 Female entrepreneurs: How to raise a girl to be a successful businesswoman. Girls need entrepreneurial role models. What a laudable goal. My own daughter, at 12, came to me and announced definitively that, having lived her whole life with an entrepreneur for a father, the very last thing she was ever going to do was to become an entrepreneur, because it was just too insanely painful and risky! She was therefore setting her sights on becoming a corporate lawyer with a nice, secure job. Fast forward six years, and she goes off to spend her freshman year at college in England. Deciding that we weren’t sending her enough pocket money, she started doing some part-time tutoring. Being a smart and self-starting kid, she printed up some business cards. And put up some posters. And started a word-of-mouth campaign. Soon, she had more clients than she could handle. So she enlisted some of her friends to help with the tutoring. Things continued to expand. She had to get more qualified tutors. So she began posting recruiting ads and setting up proficiency tests and background checks. Things continued to expand. By the end of the school year, she had a staff of 13 tutors, was at an annualized revenue run rate of $100,000, was selected as the local Young Entrepreneur of the Year … and sold her business to a professor at the college when she returned to the U.S. for her sophomore year. Which brings me to the advice-giving section of this answer: By far the best thing you can do is be a great role model! Show your sister that girls can be entrepreneurs! That being an entrepreneur is cool! That entrepreneurs live larger lives, have a greater impact on society, and basically have more fun than anyone else on the planet! Tell her stories of Mary Kay Ash and Anita Roddick, of Esther Dyson and Heidi Roizen, of Martha Stewart and Oprah Winfrey … and of yourself! Take her to your local tech meet-ups, to Take Your Sister to Work Day, and to see The Social Network. Hang out with the cool girl entrepreneurs, analyze everything she likes from the perspective of a business owner … whenever you see an interesting story about startups, discuss it with her. The next thing you know, you will be her role model, and the world will have another super-entrepreneur! What has your experience as an entrepreneur under 20 been like, and what advice can you offer to other young, would-be entrepreneurs? What should a 17-year-old designer/entrepreneur do with his life?